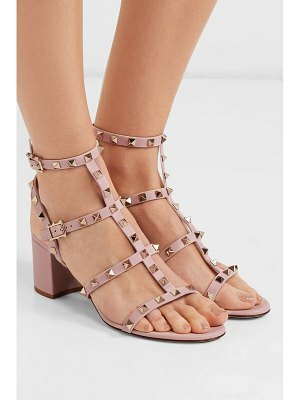 Chic studded sandals in luxe leather Stiletto heel, 4.13" (105mm) Leather upper Peep toe Adjustable ankle strap Leather lining and sole Made in Italy. 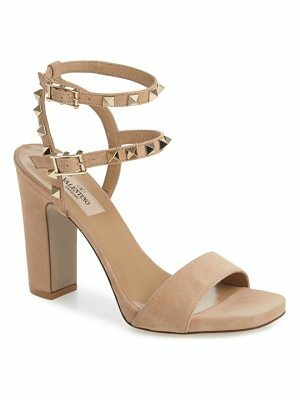 Women's Shoes - Valentino. Valentino Garavani. Color: Poudre. Size: 40 (10).